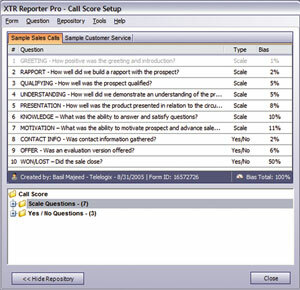 Call Reporter Pro is the top-level Contact Center Telephone Call Recording Application designed for Supervisors/Managers supplying reporting together with an Agent Grading application. 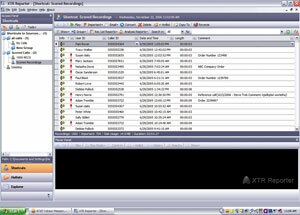 The Call Reporter Pro application is appropriate for just about any Call Center Recording requirement. Reporter Pro can be partnered with BackOffice and selected Telephone Call Recording hardware (from the range below) to deliver a complete Telephone Call Recording System. The Call Reporter Pro Telephone Call Recording Solution delivers management data from the Telephone Call Recording Systems to assist you to improve your Call Centre Agent performance at the customer service interface. 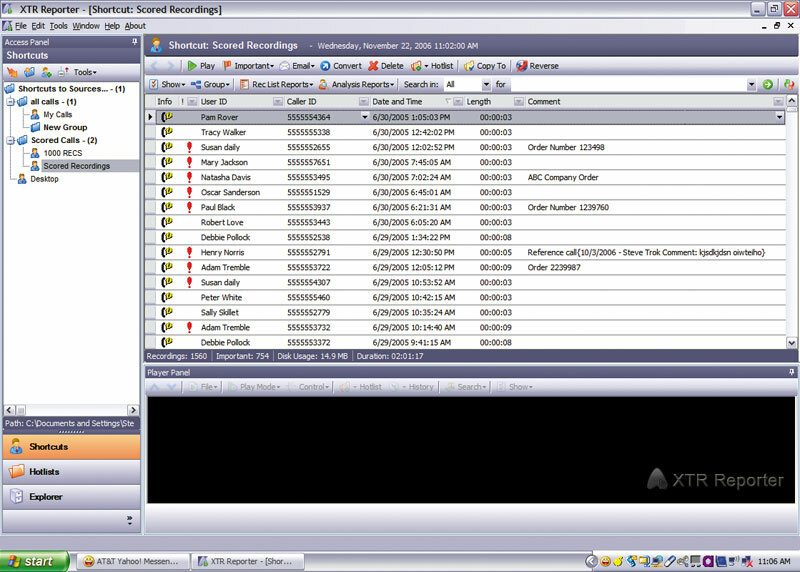 Reporter Pro Telephone Call Recording management software delivers all that a professional supervisor “Power User” will require and enables access to your Call Recordings wherever they are located on your network. 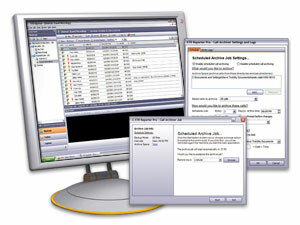 Call Reporter Pro operates independently of the Digital Call Recording hardware recorder devices (hardware devices shown below), accessing and reporting on the completed recordings – and has no involvement with the recorder hardware. ** Where IP recording is required for larger sites, Call Reporter Pro is bundled with BackOffice4IP to form a centralised call recorder for SIP Lines/Trunks and IP Phones. This combination can also have Digital and Analogue ports added as required to form a total site solution where a mix of ports are required. All of the suite of monitoring programs have been developed on the powerful Microsoft .net framework and can easily control sizeable quantities of Telephone Call Recordings. Each application is provided with an MS Office style GUI for ease of use. Telephone Call Recording Systems equipped with Reporter Pro incorporate the search and play features of Call Manager Call Recording Software with added powerful graphical reports and a sophisticated Call Centre Agent Grading module. The Grading Module allows supervisors to set key parameters for agent performance, then grade and report against the parameters – the key objective being a demonstrated improvement in performance of agents over time. 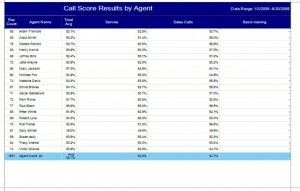 The Call Score element enables a supervisor to ‘grade’ an agent’s performance on a sample of Telephone Call Recordings. 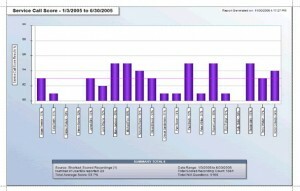 The scoring forms are tailored by the supervisor to suit the local operation and can be archived and shared across a computer network. 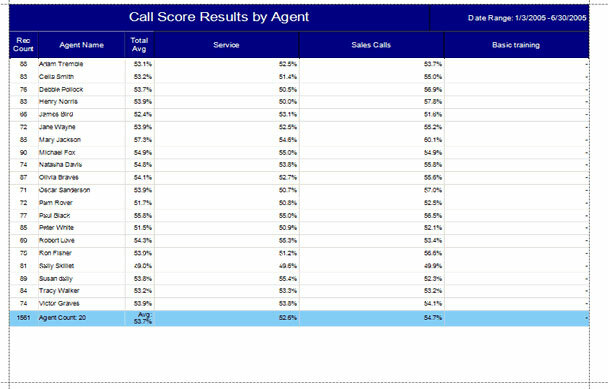 The Call Score system uses sophisticated weighting criteria to make sure that importance is applied on the work functions/Agent actions most critical to your company’s business. Questions can be either scale or yes/no in makeup. 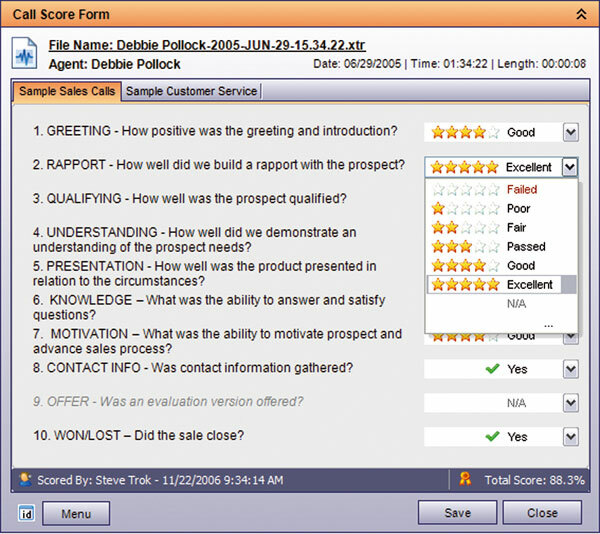 If a question is not pertinent to the sample recorded call, the weight allocated to that question is then distributed to the others to ensure equitable scoring. 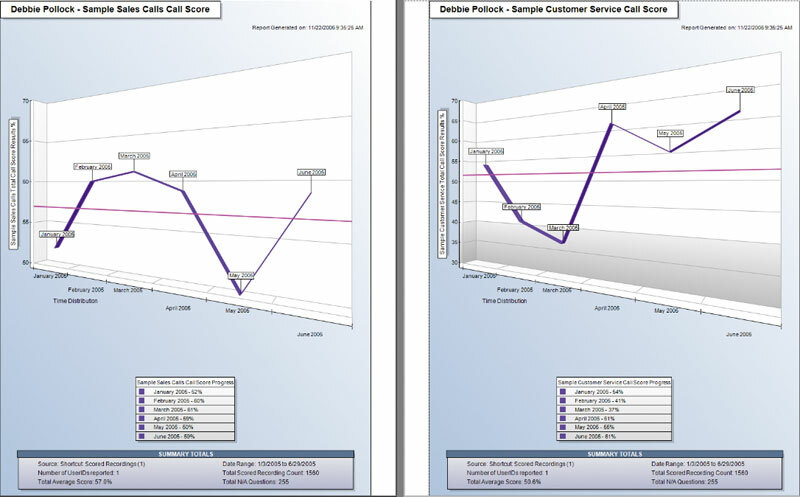 Calls are scored by simply selecting the Call Score play mode and grading each segment of the call as the supervisor listens to the actual recording, quickly and easily. 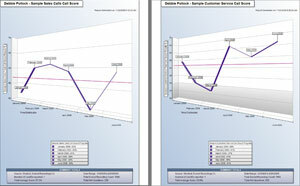 Calls are graded and combined to measure an agent’s performance on Telephone Calls Recording over time as well as compare to others in the group with simple, easy to read graphs and charts. 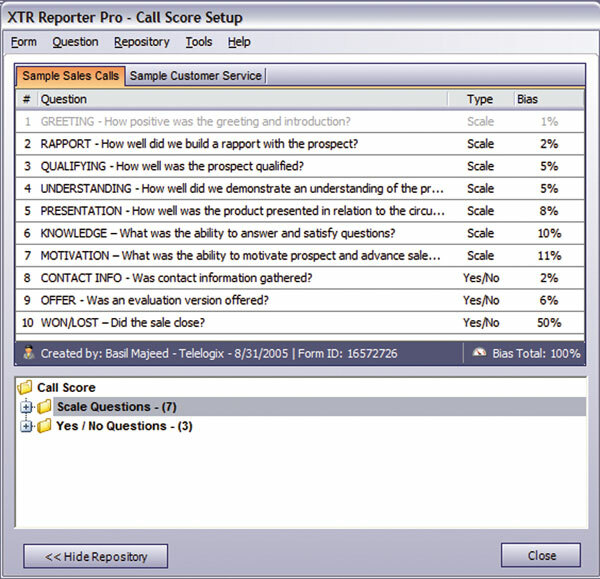 Reporter Pro Supervisor is the top-level Call Center Recording Software for Supervisors offering reporting and Agent Grading package from the Professional range of IR Call Recording solutions and is appropriate for any Call Center Recording requirement.